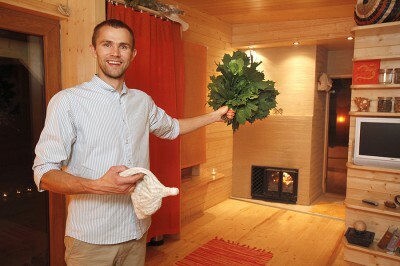 If You want to feel and enjoy real Latvia, You shoud have a sauna ritual! It is very important part of latvian tradition. Nothing can set somebody’s mind at rest, make to forget trouble, relax and rebuild the body like sauna ritual. The ritual will give you a rush of energy, liveliness, pleasure, joy of life and improve your health and immunity. At sauna we are HERE and NOW and this is the only way how to be happy for real. Give yourself some hours of relaxation, peace and rest! Before the sauna ritual I look for the most appropriate besom suitable for you. Each herb has a different energy. It is important to use the right flowers and tree herbs to reach the best effect. During the ritual I use several scrubs, peelings, and masks: salt with essential oils and herbs, honey, clay, chocolate and citrus fruits. For aromatherapy several herbal infusions are made. At the end of the ritual you can relax by fireplace drinking hot herbal tea. Sauna ritual takes 2-4 hours. I wish happiness to everyone!